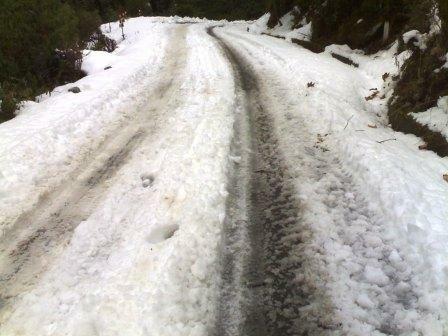 Dhanolti is situated in the Tehri Garhwal District of Uttarakhand state. Most places of interest in Dhanolti are trekking to Surkanda Devi (The Temple of Hindu goddess); Chandarbadni and Kunjapuri Devi temple are the triangle of the Three Devi’s Darshan. You can also see snow falls on the roads and on Dhanolti in the months of Jan and Feb.
Best time to visit: - The Best time to visit Dhanolti is Between 15 Jan and 15 Feb, March and June. By Roads: - Dhanolti is well connected by roads transport with other cities. You can drive from Dehradun to Mussoorie bypass and then reach to Dhanolti. And another route is Rishikesh to chamba to Dhanolti. By Trains: - The nearest railhead or train station is Dehradun at the distance of 68 kms. By Air: - The Nearest Airport is Jolly Grant Dehradun at the distance of 82 kms from Dhanolti. Accommodations: - You can take here Hotels, Resorts and Lodges for your accommodation. Some hotels are:- Hotel Crown Plaza, Hotel Crystal Palace, Hotel Dhanolti, Apple orchid resort, Tourist Rest House GMVN lodge, and many other tourist houses.